Earlier known as Jullundur during the British Raj. It is one of the oldest city that has location in the north-western side of Punjab. The name of the city is after a demon king called Jalandhar who has been mentioned in the Mahabharata and Puranas. Another myth that surrounds the name states that it was the capital for the Lava (Ramayana) kingdom. This is a city which has seen a rapid growth and has also developed on a drastic level over the years. This was also the capital for the State of Punjab after India got its Independence until 1953. Jalandhar Tourist attractions is not only famous for its historic significance. However, it is also famous for its beautiful parks and various kinds of attractions for every age group. There is not a dull moment when you are in the city as there is so much to do and see. Even the people who are year are friendly and full of life. Jalandhar is well connected by road, air or rail and even the local transports offer the benefit of taking you to the different attractions that are there in and around the city. It is also famous for its authentic cuisines and has a wide range of cuisines that are available across the city. During the winters Makki/ Makai ki roti (Corn Bread) and sarson ka saag (Mustard leaves curry) is one of the specialities that you should eat. Another thing that is really good is the various chicken based Punjabi dishes. Over the years there has been a rabid development and urbanization of the city where it has become a city that is highly industrial and a center famous for its commercial activity. This is famous to be one of the projects of North India that is one of its kinds and the biggest one. It has location at the heart of the Punjab, this is spread over 72 acres of land. This place has various kinds of visit programs which blends fun and education and is for any age, profession, social strata and educational background. There are different kinds of facilities which include a Souvenir shop, Boating, Cafeterias / Restaurants etc. There is also a special Rest Room facility for Drivers. It also offers various kinds of Packages for Individuals and groups which can be bought from the location itself as well as online. This is a place that was built in the memory of Punjab’s revolutionary martyrs who gave up their lives for their motherland’s liberation. 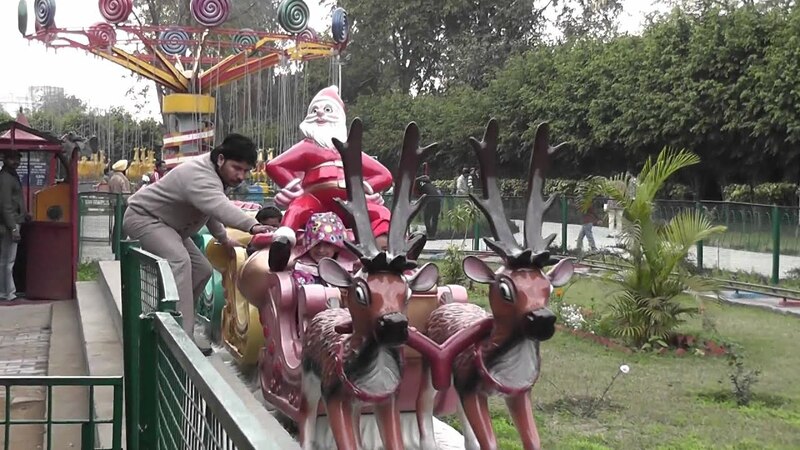 This is an attraction that has location at Khatkar Kalan which is around 55 kilometres from Jalandhar. You can still see the half burnt ashes of Sukhdev, Rajguru and Sardar Bhagat Singh. Also, included are the blood stained newspapers and sand that was soaked in their blood. This is not only preserved here however it is also exhibited. Else known named after it was incepted by the East India Company and was renamed as the Queen’s Garden. After India got Independence, it was renamed as Nehru Garden. Over the years, the place has undergone a lot of reconstructions and modifications due to which the appearance of the place has changed. It is a beautiful place that is filled with various kinds of plans and trees. There are also seating arrangements, lavatories, rain shelters and other such features and facilities available for the visitors. This place also has various kinds of kid’s attractions that makes the time well spent and memorable. This is a fun place that has lots of things to do and is perfect for a day well spent in the midst of nature. There are lots of games for children and adults can have a really good and relaxing time. There are attractions and rides that are also available in the park. Famous for one of the best picnic spots. The entry to this park is economically priced and is perfect for weekend holidays and vacations. This park has various kinds of facilities that are offered to the visitors which include fresh drinking water, fully functional wash rooms and lavatories as well as seating arrangements. There are also refreshments that are available for all age groups. This is an amusement water park which is spread over 11 acres of land. This is a place that offers various water rides and cams which includes a slide splash, kiddies bating, horror house, flying jets, boating, bumper cards and much more. There is also an aqua dance floor where visitors can dance to the latest Panjabi songs under an artificially made canopy which has clouds and has water that comes down like rain. It is believed that the Jama Masjid is said to be 400 years old and has location nearby. Even the Imam Nasir is a mausoleum that is beautifully designed which is 800 years old. The architectural structure reflects very strongly about the engineering efforts and majestic architectural. They have become Jalandhar city’s trait. It also speaks about the architectural patterns richness and especially during Muslim festivals; these places are decorated colourfully with lights and other such beautiful things. It has location very close to the railway station. This is a place that has also been recently renovated and now has a temple that is newly built. There is also a Goddess Kali/ Kali Mata temple that is very old. Another famous thing about this place is the classical music exponents which plays vocals and instrumental music during the gathering. Going back to the Lodi Era, This is a mandir that is very close to the Imam Nasir mausoleum and has location at Gur Madi. It is believed that The Sultanpur Lodhi’s Nawab had built this place. This is why the architecture of this place is a combination of Hindu Muslim architecture. The gates of this beautiful place reflects the style of a mosque while the Hindu style can be seen everywhere.